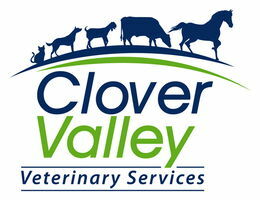 If you are considering purchasing a horse, or are in the process of purchasing a horse, Clover Valley Veterinary Services provides pre-purchase exams. The pre-purchase exam provides buyers with information about the horse’s current medical condition including cardiac abnormalities, eye abnormalities, dental malocclusions and lameness. We pride ourselves on taking the extra time to thoroughly evaluate your pet, and our examinations can detect abnormalities or problems in the horse and provide treatment if necessary. Some health issues may include ear, eye, or skin conditions, dental disease, metabolic disease, gastrointestinal upset, parasites, respiratory or cardiac disease, lameness or arthritis, reproductive or urinary tract issues. The equine pre-purchase exams can be performed on-site, and can include digital radiographs, drug testing, and a reproduction examination for breeding soundness. Please give us a call today to schedule an equine pre-purchase exam if you are acquiring a horse.